One of the most defining characteristics of the Yorkshire Terrier is its tendency to bark at intruders. These little puppies are no exception, and they immediately begin to bark at the birds that accumulate outside their home. The experts at Your Breed Puppy recommend teaching young Yorkies to control their barks at an early age. Any family looking to add a Yorkshire Terrier into their home might be surprised to note that the dogs are hypoallergenic -- according to Animal Planet their coat is very similar to human hair. This makes the breed a particularly attractive option for those who suffer from pet allergies. The site also warns the breed can be very difficult to train due to their high energy. 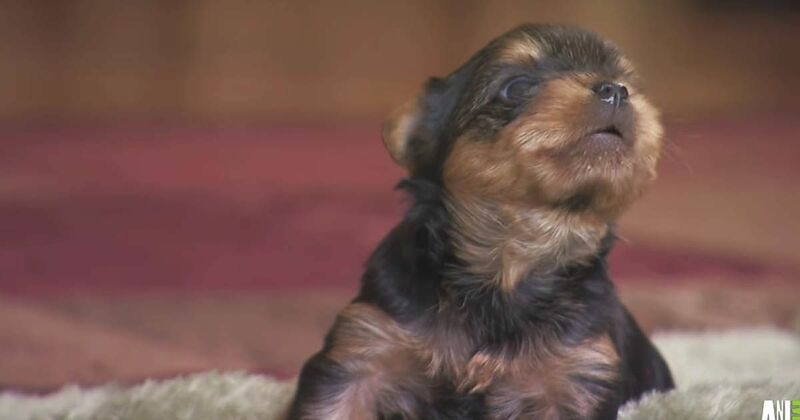 Although they might be a bit rambunctious, the video below proves Yorkies are undeniably adorable! If you agree, make sure to share this video on Facebook! How a simple afternoon of fun lead to an unfortunate tragedy that could have been prevented. Hearing a baby laugh is a delightful experience, but watching what makes this one so gleeful is worth a million dollars! Meet Rami, a unique dog with an important mission.